This year the shortlist for the Miles Franklin award (novel set in Australia of highest literary merit) was greeted with dismay. Not one female writer had been shortlisted. Nowhere in the commentary that I have read have their been accusations of deliberate bias but the fact remains that books written by men are more seriously considered by judging panels of literary awards. Women are just as capable as men of writing books of high literary quality, but in the absence of signs of overt prejudice on the part of influential people in literary circles we are left to puzzle over the reasons why women writers struggle to be seriously considered. There have been many articles written about this issue such as this one by Alison Croggan which I will leave you to consider. 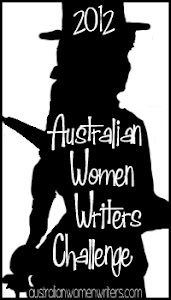 The 2012 Australian Women Writers Challenge (#AWW2012 on twitter) is a response to this issue. Rather than analysing the whys and wherefores of this issue, this challenge encourages people to read more Australian female authors and review them on their blogs. I plan to read at least six histories written by Australian women and review three of those books on this blog. I read one book by a female historian – only one! I care about the topic of the books I read, the quality of research and writing. I have never even considered the gender of the author until I thought about the challenge. Why does my reading show such imbalance? Perhaps the topics I read are ‘male’ topics? But I don’t think that topics such as the religious and secular history of Australia, the history of education in Australia, Islam and Christianity in medieval Europe, the European revolutions of 1848, the Gold Rushes in the mid-nineteenth century etc are inherently male or female. However, from what I have seen these topics are dominated by male writers which may explain the bias. Certainly history used to be a male-dominated discipline, but while the consequences of this are still working through the system (ie the majority of academics in university history departments are male), while I was studying history at university or working as a research assistant I never suffered from discrimination or felt any form of bias. Is this imbalance in my reading due to the fact that more male historians are published because there are more male historians employed by university history departments? Possibly. Rather than pondering the reasons for this imbalance, I am now going to make an effort to read and review histories written by Australian women. I am glad that I found out about this challenge before Christmas. I was able to order one of the books that I want to review for this challenge and pay for it using a gift voucher I received as a present. Closely linked to the issue of female authors being considered for literary prizes is the need for female authors to sell more books. More women will have the opportunity to publish if their writing sells well. This challenge should bring women’s writing under the spotlight from where we can consider their books on their merits. It should address the ‘invisibility’ that women can suffer from. Hopefully by receiving more reviews female Australian authors will not be inadvertently overlooked in 2012! One issue that concerns me is that unless men also adopt this challenge, it will fail to gain the traction that it needs. Just as women acknowledge and celebrate good male writing, it is important that men support good writing by women. It is great to see men such as Jon Page, Walter Mason and Mark Webb among others taking up this challenge. What are your thoughts about how women writers are received? Do you think that this challenge is an effective way of addressing this issue? This entry was posted in Australian Women Writers Challenge, Book Reviews and tagged Australia, History, Writing by perkinsy. Bookmark the permalink.